Rawhide chews and treats are made from the inner layer of cow or horse hide, which is then pressed and cleaned. Many rawhide treats contain chicken or beef flavor that make them more appealing to dogs. Rawhide chews are widely available in a variety of shapes and sizes, and are quite affordable in comparison with other dog treats. ….and the Potential Dangers of Rawhide? Many people consider rawhide safe for dogs without knowing any better. There are some potential risk that you should know before you decide to give this treat to your dog. One of the most common concerns related to rawhide are the potential of chocking and intestinal obstruction. Rawhide is made of an indigestible material, therefore, when dogs consume it, the rawhide pieces will pass almost intact through their digestive system and there is a risk of it becoming clogged in the intestines. Some dogs may swallow relatively large pieces of rawhide, which also puts them at risk of chocking or suffering from intestinal obstruction. The worst part is that rawhide goes through a cleaning process in which various chemical are used such as formaldehyde, bleach, and arsenic. These chemicals may cause irritation of the dog’s digestive tract and/or food induced allergies. Bully sticks are another type of chewable dog treats, which can provide the same chewing benefits of rawhide treats. Unlike rawhide chews, bully sticks are made of 100% cow beef and are NOT processed with chemicals. In addition to its chewing benefits, bully sticks are a good source of protein to dogs. Since bully sticks are made of cow beef, dogs can digest them, thus, these dog treats do not pose a risk of intestinal obstruction like rawhide. Bully sticks are available in all different shapes and sizes to accommodate different dog sizes and durability needs. I will mention though, one of the drawbacks of bully sticks for some pet owners is they are more expensive than rawhides. …and the Potential Dangers of Bully Sticks? As with rawhide and other dog treats, there is a risk of chocking if dogs try to swallow a large part of the bully stick, therefore, dogs should not be left unsupervised with any kind of dog treat. So Should I Give My Dog Rawhide or Bully Sticks? When choosing which chewable dog treat is best for your dog, you should consider the risks and benefits of each one. To me it’s a no brainer. Bully sticks are really the better choice. Since bully sticks are made from natural and digestible ingredients, they are a safer and more nutritious option to rawhide. 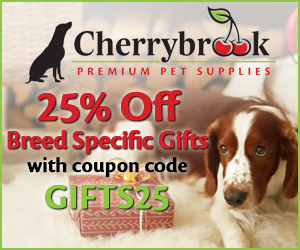 They are totally worth the extra cost if you want to give your dog nothing but the best and keep those tails wagging! What are your thoughts on rawhide and bully sticks? Please share in the comments section below!